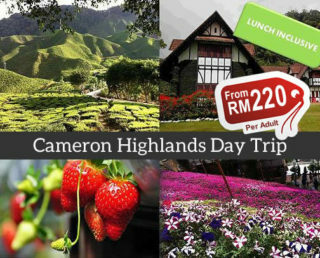 A day tour perfect for nature lovers! Hiking, fishing, rock climbing, camping, jungle trekking, wildlife viewing are just some of the activities included in the tour package. During this tour, we will take you on a full day trip from the city to the Taman Negara National Park. This park is known for being one of the best eco-tourism spots in the whole country. As mentioned previously, it is very popular among nature lovers because they can discover new flora and fauna species in one of the oldest rainforests in the world. You will definitely remember the entire experience when you go on this trip. Taman Negara is a government-protected jungle in Malaysia. It has a lush rainforest jungle spanning an area of 4,343 square kilometers across three states namely Kelantan, Terengganu, and Pahang. Tourists can enter through four main entry points such as Kuala Tahan and Sungai Relau in Pahang, Kuala Koh in Kelantan, and Tanjung Mentong in Terengganu. There are a mix of thousands of plant, insect, and invertebrate species together with a mix of hundreds of bird, reptile, freshwater fish, and mammal species. With government protection, there are more plant and animal species discovered in the park. 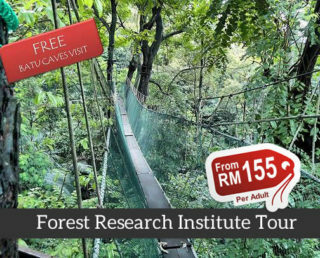 Activities in the park include the canopy walk, jungle trek, cave exploration, rapid shooting, night safari, and many more. Visitors can also interact with indigenous communities that live in the area namely the Orang Asli the Bateq. Driving to the national park will take about three hours from Kuala Lumpur to Jerantut where you can take a boat to go to the Kuala Tahan entrance of the park. The ride is around 16 kilometers along the river lasting for another three hours where you’ll stop at the Kuala Tembeling Jetty. 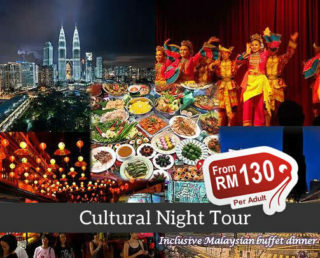 Our tour is licensed with the Ministry of Tourism and Culture Malaysia. Our guides are also licensed under the same agency. This is important for nature guides in the park because it allows access to most sections including the community visit to the Orang Asli. Guests are picked up from their hotel, homestay, or other rented residences within Kuala Lumpur city. Our tours start at 7:00 am lasting the whole day where our clients get to experience the beauty of the Taman Negara National Park. 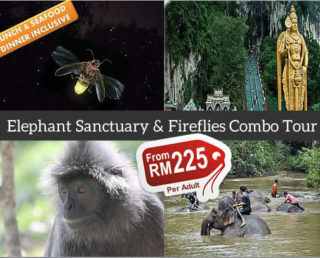 Inclusive in the tour package are permits and entrance fees for the Taman Negara park, canopy walk, and rapid shooting. Lunch is also included in the day tour package which will be on the Floating Restaurant located inside the park. A trek through the real inner part of the jungle shall be the highlight of this activity. The trek is about 1.5 to 3 kms in distance which will end at Bukit Teresek. Here you might see exotic animal species like the Red Jungle-fowl which is a bird endemic to the park. Many of our guests also take the canopy walk which is one of the longest in the world at 500 meters. It is about 40 meters above ground which you can cross 11 bridges and 10 platforms to stop and rest or take pictures of the jungle. The rapid shooting activity involves cross seven rapids up the Tembeling River. This gives guests a thrill ride which leaves them soaking wet after the experience. Guests are advised to have an extra set of clothes and always remember the safety guidelines instructed before taking off for the rapid shooting. Orang Asli of the Batek is a native community living inside the Teman Negara National Park. With our licensed guide, you can experience their culture and observe the semi-traditional life they lead. You will see how hunter-gatherers live. Payments can be sent online through the booking option on our website. Customers will get their confirmation information through email. Drivers will come to pick you up on time at the designated schedule. Everything is easy when you book our Taman Negara day trip. You can do it at the comfort of your own home and just wait for the scheduled trip. No fuss, no hassle. You can go right now. Just book your tour right now! I wish to thanks our expert guide for having us experience the beautiful Taman Negara. Must visit when ur in Malaysia! Traveled as couple. Driver was accommodating, place is relaxing ! My first time to try tour packages. I usaly go on trips w/own itinerary, but was quite reluctant about locating Negara by myself. The staff was very helpful and guided me all throughout. 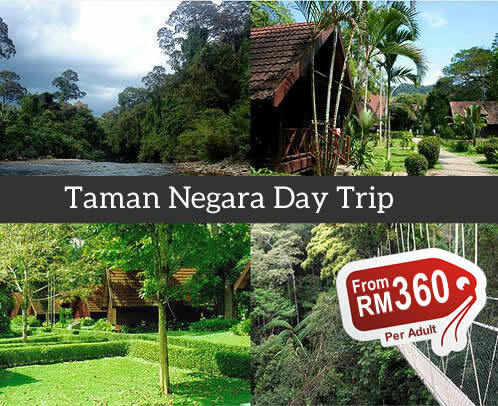 Taman Negara is for all adventurous travelers out there! Taman Negara was number one on my bucket list when I first got to Malaysia. The tour I got was really great. So happy I picked the right company! Read about the vast Taman Negara National Park on the web and I hesitated to go at it alone. So I booked MyTravellane’s Day Trip Package and was not disappointed. Their staff were nice. The tour guide expertly navigated the tour. And we got to see the best features of the park as well. It was a complete experience! It is a great experience for us. The view is beautiful and the rainforest is amazing. I highly recommend for this local tour. Super worth it! ! Full day trip, although the weather is not very good, but overall it is a great experience! It was a great trip. Our guide was fantastic. He was very knowledgeable and gave us good information. Tracking and detailed explanations of the rainforest and Canovies were so much fun, So Nice Tour. Tracking and detailed explanations of the rainforest . Aboriginal towns are a bit boring. Full day trip, although the weather is not very good, but overall it is a great experience! The guide staff is very nice and kind,Super worth it! Professional driver and a fun tour out of KL. Have a relaxing day exploring the Rainforest The driver is courteous and professional. Well done. Very good tour. Everything was arranged up to expectation. Really a wonderful adventure away from the concrete jungle. Truly a beautiful and fruitful experience. It was a great trip. We really enjoy this, good service . recommend!! It was really good! Never expected this kind of a service but was really good, the tour was really good ! We will surely book here for more.Superb Experience from your team..